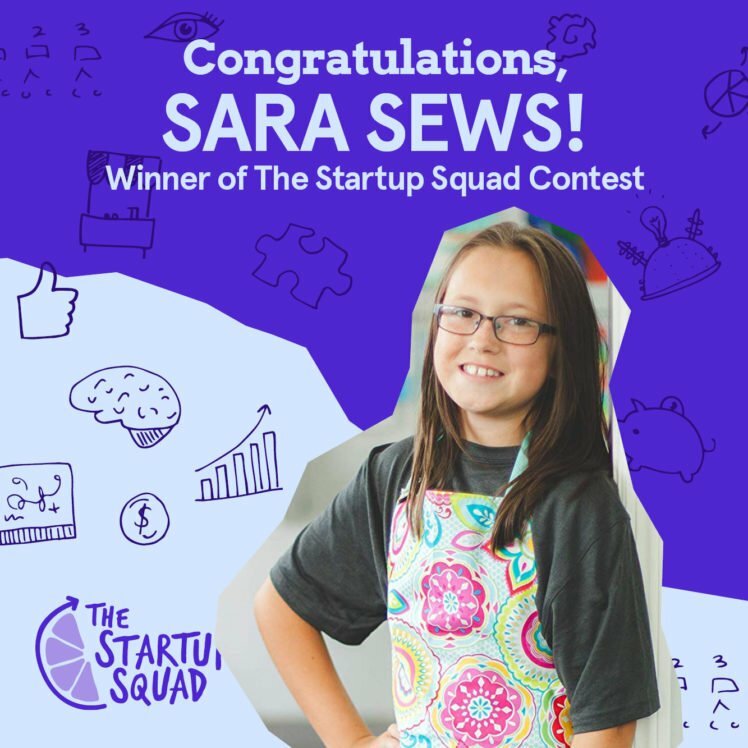 Say congratulations to Sara Robinson of Sara Sews! Last summer, we launched our Girls Mean Business contest and invited girl entrepreneurs all over the country to enter for a chance to be profiled in The Startup Squad’s first book, launching in May. We were blown away by the 29 girlpreneurs who participated and wowed us with their enthusiasm, creative spirits, and impressive business profiles. From our initial 29 entrants, we whittled it down to the top five based on public vote, business potential, and presentation. Out of these five finalists, Sara Robinson of Sara Sews received the most votes in our online poll and emerged as the winner. Twelve-year-old Sara started sewing five years ago when her mother, a fourth-generation seamstress, taught her how. 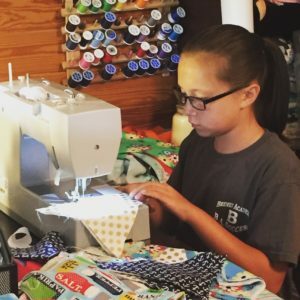 Based in Bremen, Georgia, this mother-daughter duo turned their dining room into a makeshift sewing area for their shared sewing machine. For her first project, Sara sewed a simple dress for one of her dolls. She eventually sold other handmade doll dresses on Facebook, honed her skills further, and learned how to sew aprons. 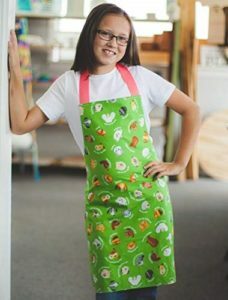 Her colorful and creative aprons generated buzz and proved to be a big hit with her customers. She then added other accessories, such as sleep masks and fabric party banners, and started Sara Sews on Amazon Handmade and Etsy. When we told Sarah that she was our contest winner, she sat down with us for an interview and excitedly shared what it’s like to be her own boss. She thinks choosing fabrics and creating new products are some of the fun aspects of running her business. She’s aware, though, that managing a startup can be time-consuming, especially when she’s busy sewing, taking product photos, and updating social media accounts. You can learn more about Sara’s incredible journey as a young businesswoman from her profile which will be featured in in our first book, The Startup Squad, to be released on May 7. Pre-order your copy here to receive it the day it’s released, and watch for more information about how your girl can be profiled in our second book.